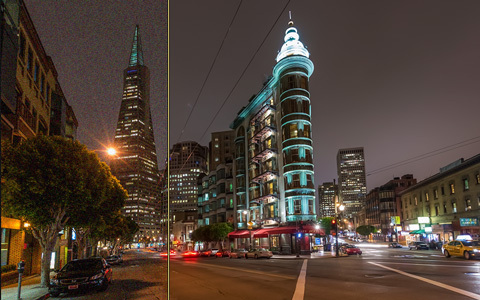 Macphun has launched a free public preview of Noiseless, a new photo app that seeks to eradicate the pixelated, grainy markings generated by digital cameras shooting in low light. Noiseless provides a one­-click fix for flawed images shot by smartphones, action cams, point & shoot cameras and enthusiast DSLRs. Upon image import, the app’s algorithms automatically detect which camera type used to offer the appropriate level of image adjustment. 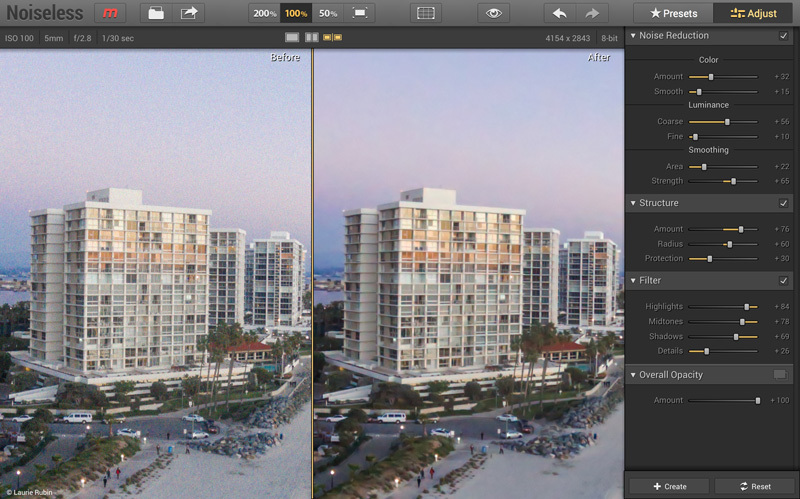 Noiseless is designed for photographers of all levels — novices can use the presets for swift noise reduction while advanced users can go to the Adjust Panel to take control of preserving fine details and use the app’s selective tools. Once the app is finalized, Noiseless will come in a standard version, sold exclusively on the Mac App Store, and a Pro version, sold on Macphun’s Website. The Pro version will also feature proprietary Raw noise reduction technology, support for additional color spaces and added controls. The pro version also runs as a plug-­in to Adobe Photoshop, Photoshop Elements, Lightroom and Apple Aperture. 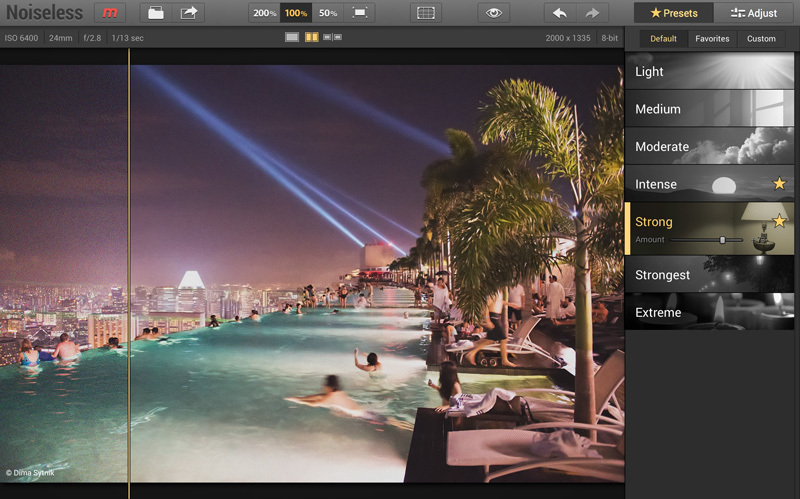 Noiseless removes color and light noise while preserving details and starts with the best preset based on the image. An opacity slider on each preset fine-tunes the amount of noise reduction applied and an Adjust panel refines details and smooth areas, selectively filtering the algorithm. Crop and rotate tools and support of sRGB (standard and pro), ProPhoto (pro only), AdobeRGB (pro only) color spaces are built in. Noiseless is now available for general testing. Anyone can download the Preview version to get started, though exporting and sharing images is restricted. The app also lets you pre­-order the Pro version at a $10 discount until the product is officially released later this month. When launched, the app will cost $17.99 for the standard version in the Mac App Store and $49.99 for the pro version on Macphun’s website. Upgrades from standard to pro will be $29.99. Noiseless is compatible with Mac OS 10.9 and above. The initial launch version will be in English only.